There are many ways to pay for your Energy upgrades. We assist our customers with traditional finance options, State, City, and County finance options, as well as home refinance options. There is always the option to pay cash for your upgrades which typically yields a better pricing. Let’s look at a few of the finance options that are available. This is the most common method of paying for your upgrades. There are several dedicated companies that provide financing to homeowners looking to upgrade their home. This option is based on a customer’s personal credit with scores ranging from 520 to 740 as a determining factor. Debt to income ratios also play a factor in the decision making process. PROS: Up to 12 year repayment terms to maximize the monthly savings. 0% Interest and deferred payment offers for customers with approved credit. Multiple lenders to work with. Qualifies for the 30% Tax Credit based on purchase. No prepayment penalties (in most cases). CONS: Higher interest rates based on credit. Delayed property value increase. Loan is tied to the customer. May require out of pocket expenses. This finance option is most often the preferred option for customers that live within a PACE area and with credit challenges. The State, City, or County will secure your financing using the equity in your home as the approving guideline. This program is not credit based. PROS: Up to 20 year repayment terms to provide lowest possible payments. No payments for up to 18 months (in some cases). No out of pocket expenses. Loan is tied to the property. Immediate property value increase. Qualifies for the 30% Tax Credit based on purchase. Annual interest tax write off. CONS: Higher interest rate. Prepayment penalty (in some cases). Additional loan processing fees. Increase in property taxes. This option has the same benefit as paying for your upgrade in full. It is a credit based finance option that also depends on the available equity in your home. This is a great option for a home buyer that has been in their home for a short time or a home buyer that can also eliminate other debts through the refinance. PROS: Huge price discounts for paying cash. Immediate property value increase. Qualifies for the 30% Tax Credit based on purchase. Annual interest tax write off. Lower interest rate. Long term repayment options. Loan consolidation option. CONS: Extension of mortgage loan or addition of second mortgage. Usually requires small out of pocket expenses. I hope that this information can assist you in making an informed consumer decision regarding your home or business energy upgrade financing. 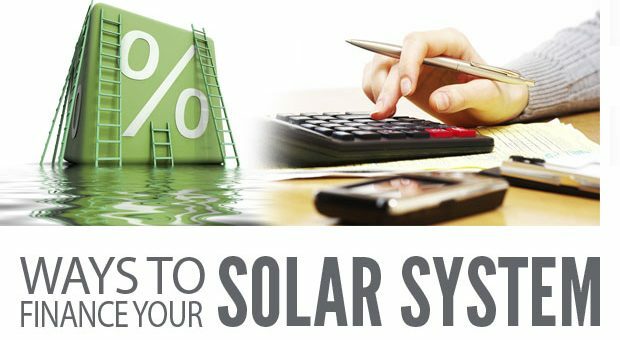 For any other financing questions or to get pre-approved for your energy upgrades contact a ProChoice Solar Finance Specialist today at (407)454-6146 or apply online.